We are delighted to be running in association with the IoD NE, director development seminars, starting off with the role of the chairman. 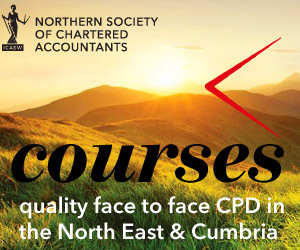 IoD North East and ICAEW are pleased to introduce the new series of five director development breakfast seminars. The role of the sales and marketing director. We are delighted to welcome speakers from a wide variety of backgrounds who will talk about their experience in their day to day role in their own particular work environment. There will be a question and answer session. Members will have the opportunity to network with other directors from both organisations in an informal atmosphere. Ian Dormer, Chairman of the Institute of Directors has a County Durham engineering business and a Newcastle home, is different from the traditional perceptions of who sits at the top of the IoD. But Ian Dormer is passionate about making sure that both the IoD and any business he is involved in is constantly looking to refresh its outlook and to be open to new ideas. Ian has chaired a national Health & Safety Executive committee on Leadership in Health & Safety and as a former Chairman of Business Link Tyne & Wear and Board member of ONE North East he can clearly see the challenges that face the North East. Prior to 1996 Les was Headteacher of Norham Community Technology College. In 1996 he was awarded the OBE in the Queen’s Birthday Honours. He then held a number of roles between 1996 and 2009 including Executive Director for Education in North Tyneside and Principal and Chief Executive of Tyne Metropolitan College. In 2000 he was requested by the DfE to lead the interim management and outsourcing of Bradford Education Authority. In 2000 Les founded Northern Education in order to provide support to schools. During this period he developed the concept of a ‘New Relationship with Schools’ and introduced partnership boards involving Headteachers as ‘School Improvement Partners’. In July 2009, Les was appointed by Ed Balls, the Secretary of State for Education, as Chair of the Young People’s Committee within the Learning and Skills Council and Chair of the Young People’s Learning Agency which he held until 2012. Michael Gove, Secretary of State for Education then asked Les, together with Peter Lauener as CX, to lead the establishment of the Education Funding Agency. Within two years the YPLA, with a 7 billion budget, was transformed into the Education Funding Agency with a 52 billion budget. Les currently chairs the Advisory Group for the Education Funding Agency. He is also on the North East Council for the Chambers of Commerce and the Board of the Institute of Directors. Les primarily focuses on his role as Chair of the Northern Education Trust, a large and influential academy sponsor based in the North of England. Les was awarded the CBE in the New Years Honours list 2013.